I live in Michigan. Coffee does not grow here, so I buy it at my local natural foods store, or at Meijer (a regional grocery store). For me, coffee is a daily routine. But I’m also a big-time proponent of eating locally. Obviously, there’s a conflict here. How can we make coffee more local? Erin Meister at SeriousEats has some good ideas on making coffee more local: Principally, she advises local-conscious folks to support their local coffee roaster, get their baristas engaged, and speak with food dollars. The coffee roaster point is a great one. 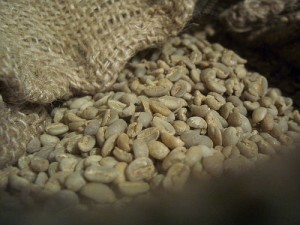 I’m only familiar with one local roaster, so I did a quick Google search to find more. As it turns out, my natural foods store is already stocking these local products. That makes my job easy (I just need to continue buying from there). Many food products, including spices, tea, sugar, and coffee, were traded across seas long before the introduction of petroleum-fueled transportation. Coffee, then, can be transported sustainably. That’s why I don’t feel at all guilty when I buy it. What about the coffee shop? I already skip the big coffee shop chain (name withheld), so that’s not a concern. In Lansing, the local brand flavor is called Biggby. My local roaster, Paramount, is involved with roasting all of Biggby’s coffee blends. For me, then, Biggby is quite local. If you don’t know where your coffee shop gets its coffee from, ask.